A state regulatory judge wants BART fined and put on safety probation for “serious and egregious” safety lapses in the deaths of two track workers in Walnut Creek back in October 2013. NBC Bay Area’s Investigative Unit obtained exclusive in-cab video of the minutes before BART engineers Lawrence Daniels and Christopher Sheppard were struck and killed. 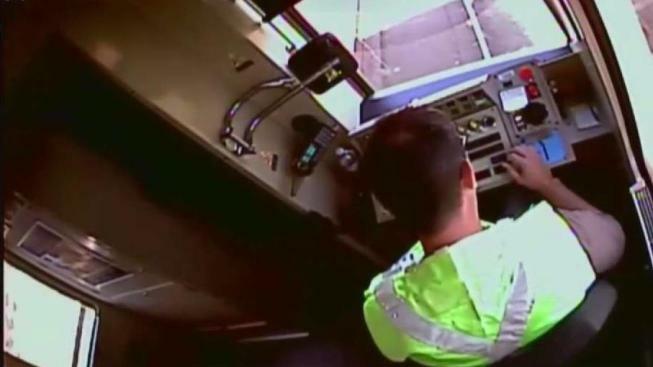 It shows the driver, alone in the cab, learning how to shuttle trains during the BART strike, while his trainer chats on his cell phone and appears miffed at having been summoned to assist him. The transit agency has previously said any safety violations leading up to the accident were isolated. It also suggested the workers themselves were to blame for not heeding the “simple approval” rule BART had at the time, which makes workers responsible for gauging the risk of venturing onto tracks. While setting the fine at $659,000, administrative law judge Kimberly Kim said BART would only have to pay one third of that sum immediately. It would not have to pay the balance if it completes a three year probationary period and strengthens safety protocols. BART had said it was cash strapped in arguing against fines. Both BART and safety regulators – who had sought $600,000 in fines -- could appeal the judge’s proposed finding to the full Public Utilities Commission. Meanwhile, BART is seeking commission safety approval for it to start putting its new fleet of 775 train cars into service. Sheppard’s widow, Barbara, welcomed the ruling as vindication against BART’s repeated suggestion that the engineers were responsible for their own deaths. But, she said, state regulators also had a role in the tragedy. She cited NBC Bay Area’s report that top commission rail officials failed to act even after being notified of BART’s plan to abbreviate safety training for fill-in operators during the strike. “I think between CPUC and BART, there is a total disregard for human life,” she said.